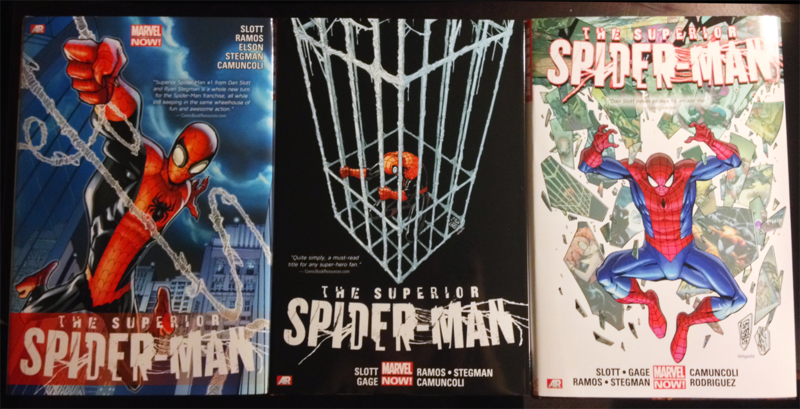 Superior Spider-Man was a controversial and divisive period of Spider-Man history, or at least that’s what they say, you sure can’t tell from looking at how high the books sales were. This was the story of how Peter Parker DIED FOREVERZ when his mind was swapped with a dying Dr. Octopus. Doc Ock was blasted with all of Parker’s memories at the last minute, giving him a crash course on heroic altruism that convinced him to continue to play the part of a superhero, but in the most arrogant and assholish way possible. The result is a bunch of delightfully unpredictable mayhem where we see the Superior Spider-Man brutalizing supervillains, blackmailing public officials, and also dating a midget scientist.